It's time for a new weekly meal plan and this month I'll be sharing some of my favorite recipes from Chrissy Teigen's "Cravings" cookbook! 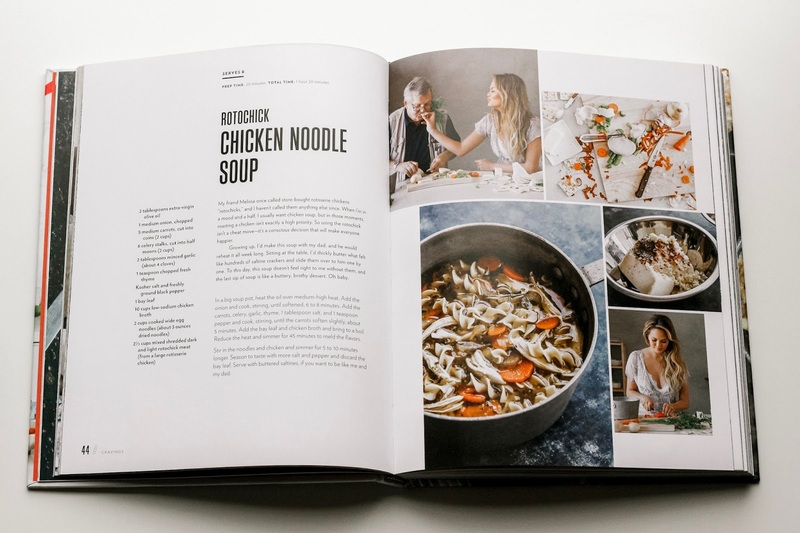 I got this cookbook a few years ago for Christmas and haven't made anything from it in a bit, so I thought it would be fun to re-make some of our favorites and try out a few new recipes too! 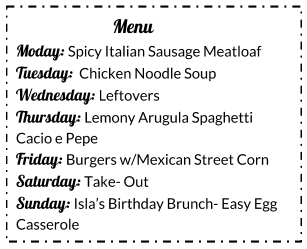 Monday: Spicy Italian Sausage Meatloaf (pg. 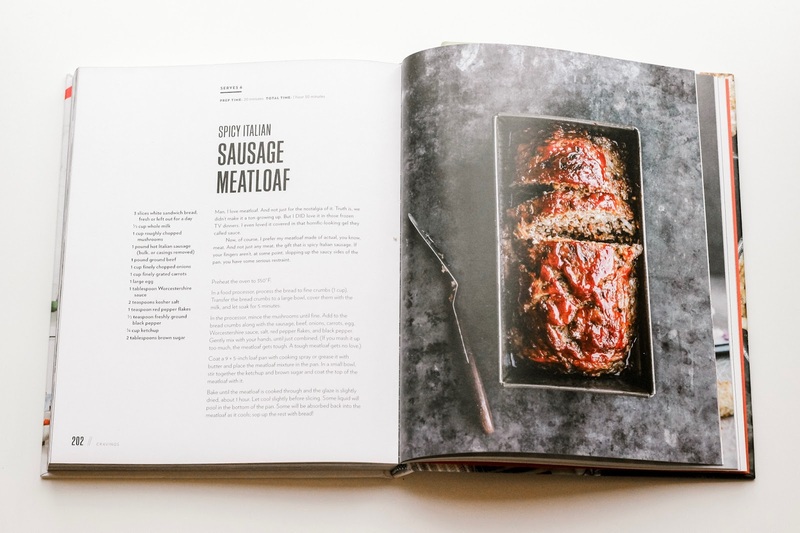 202) This is my current all-time favorite recipe from the "Cravings" cookbook, it's SO delicious and I just realized this is the second meat loaf recipe I've shared in three weeks, so clearly I'm a 90 year old woman. If you don't have this cookbook, I found the recipe pinned on Pinterest: Spicy Italian Sausage Meatloaf Recipe. Little Ladies: Monday nights are our swim lesson nights, so I will pre-make the Meatloaf for Scott and I during nap time and the little ladies will get a treat yo' self kind of meal aka: Mac & Cheese with a side of fruit or veggies. Tuesday: Chicken Noodle Soup (pg. 44)- This was one of the recommended recipes from my Instagram poll and I'm super excited to make it! Mostly because I think all of our family will eat this AND it seems really easy to make. I love that you can use a rotisserie chicken, that majorly cuts down on my prep time and to be honest, that part totally grosses me out, so I'll have Scott do that part, which will make throwing this together on Tuesday even easier! I'll serve this up with a big salad too. I also found the recipe pinned on Pinterest: Rotochick Chicken Noodle Soup. Little Ladies- The little ladies will definitely eat some of the soup and I'm going to set aside some of the rotisserie chicken for them to have for dinner on Wednesday. 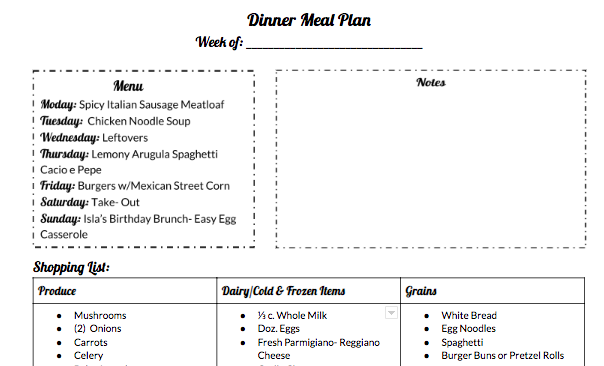 Wednesday: Leftovers- I don't anticipate Scott and I eating an entire Meatloaf between Monday and Wednesday, so he can make that into a sandwich, or I plan on heating up another bowl of chicken noodle soup! My little ladies will eat the rest of the rotisserie chicken that I put aside from the night before, I'll serve it with some quick Trader Joe's brown rice and a veggie. Thursday: Lemony Arugula Spaghetti Cacio e Pepe (pg. 79) - My sister-in- law (hey Lish!) has also been cooking from "Cravings" and said that this recipe was super yummy! Scott and I have been on a big arugula kick lately, so I can't wait to try this one. I found this recipe on Pinterest too: Lemony Arugula Spaghetti Cacio e Pepe. Little Ladies: I'll encourage them to take a couple bites, otherwise, I'll top their spaghetti with marinara sauce. Friday: Burgers w/Mexican Street Corn (pg. 167)- We have been craving (no pun intended) grilled burgers for a while now, so fingers crossed it's not too cold out and we can throw some burgers on the grill. 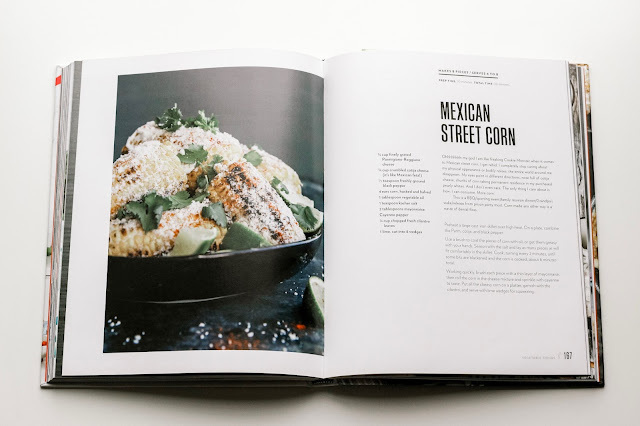 We are going to try and get fancy with Chrissy's Mexican street corn too. Little Ladies: Girlfriends are a big fan or burgers and we will set aside some plain corn for them, easy peasy! Saturday: Take-Out- There is no way I'm getting my kitchen all dirty before Isla's birthday brunch the next morning, so we will be enjoying some take-out, knowing us, we will probably order a big ole' pizza and call it a day! Sunday: Isla's Birthday Brunch; Easy Egg Casserole- My Mom makes this egg casserole every single Christmas morning and we still make it to this day! You need: white bread, eggs, ground breakfast sausage, milk and shredded cheese. The night before you want to eat the casserole, whisk 6-8 eggs, pour over cubed bread (approx. half the loaf), mix in ground sausage and a little milk, top with cheese. Bake in oven at 350 degrees for 45-60 min. and enjoy! This would be a great casserole to make on a Sunday and enjoy throughout the week for breakfast. 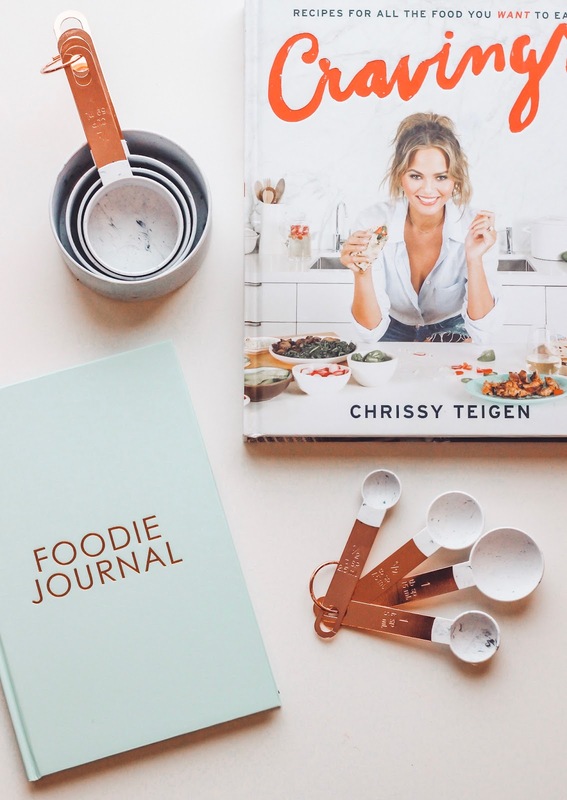 Raise your hand if you're secretly hoping if you cook like Chrissy Teigen, it's kind of, sort of, like you're a little bit friends with her!? #guilty Not only do I think she is super real and hilarious, but girlfriend knows how to cook and each of these recipes will not disappoint. 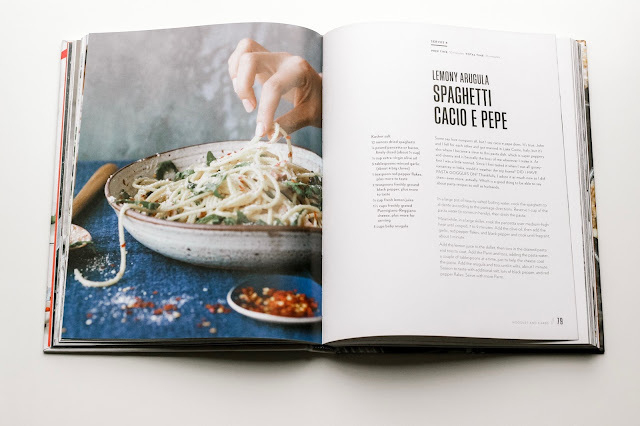 Please let me know if you give any of these crowd favorite recipes a try!